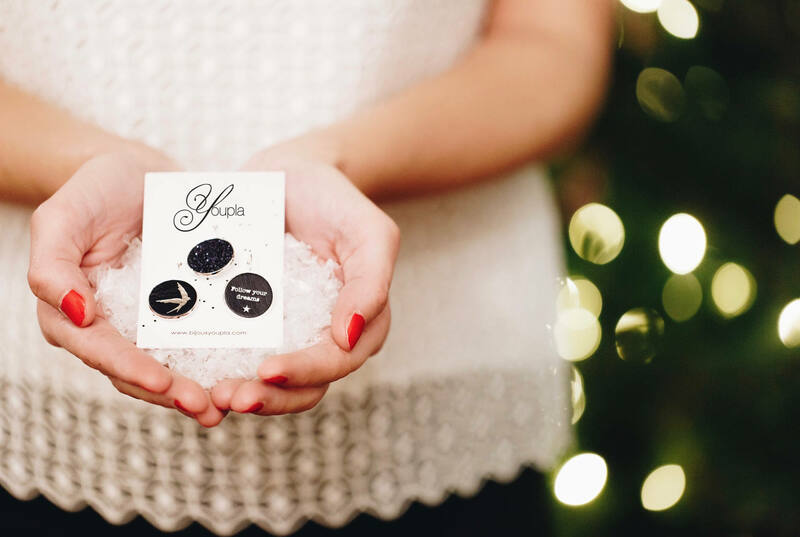 Trio of Navy blue leather marked hot stud earrings. 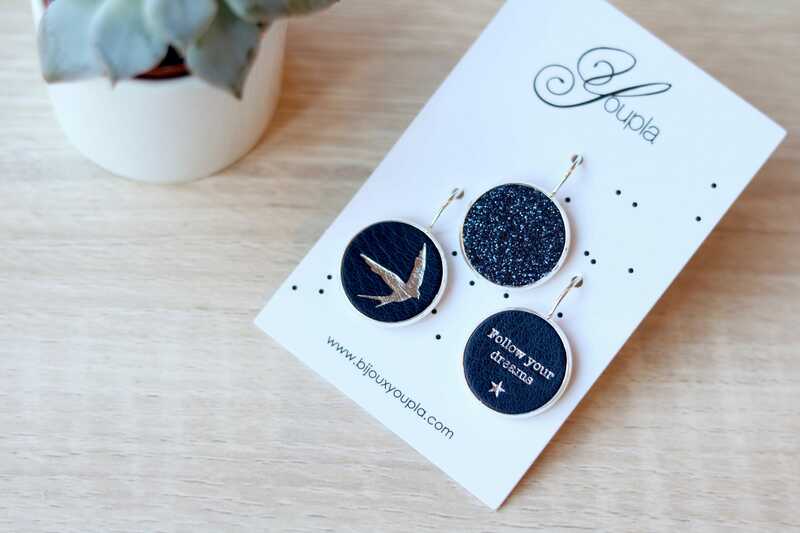 Composition of 3 Earrings: 1 Visual swallow, 1 text "Follow your dream" and 1 glitter pendant. Model hand made and sold in a fabric pouch.